The Tecnológico de Monterrey is a private institution, non-profit, independent and unrelated to political and religious parties. It was founded in 1943 thanks to the vision of Mexican businessman Eugenio Garza Sada . Its work is supported by civil associations composed of outstanding leaders from all over the country, committed to the quality of higher education and to the development of Mexico. It has 31 campuses and 21 international offices and liaison offices. 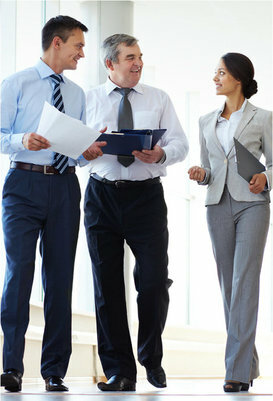 Its objective is to train leaders with an entrepreneurial spirit, a human sense and a high level of competitiveness. The institution is in the top of the best private universities in the world , according to the QS World University Ranking; while the EGADE Business School is considered the best business school in Mexico and Latin America. According to Quacquerelli Symonds University Rankings, it is the best private university in Mexico and in the opinion of employers, the number one university in Mexico, placing itself at the same level of University of Michigan, Boston University and Duke University. The Graduate and Executive Education programs of the Tecnológico de Monterrey offer a value proposal that incorporates various products and services to contribute to the development of internationally competitive entrepreneurs, focused on business results and with a high human sense. The content quality of development programs taught by highly qualified teachers in knowledge and experience. A teaching-learning methodology that focuses on solving real problems at work using tools of immediate application. 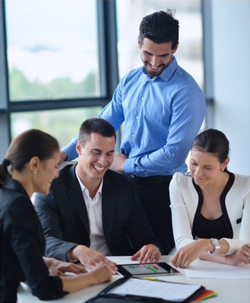 Generation and integration of high performance teams committed to the development of projects that contribute to the improvement of the results of their organizations. The transformation of individuals who participate in courses and programs, whose training allows them to achieve higher levels of performance and gives them tools to achieve a breakthrough in meeting the objectives of their company. A Multicampus System that offers national and international coverage, in addition to having alliances with various universities and institutions. 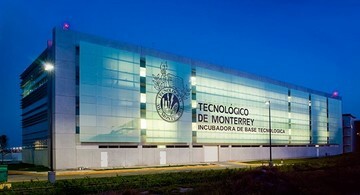 For this and more the Tecnológico de Monterrey is the best option in Postgraduate and Executive Education in Mexico. Educational Model The Graduate and Executive Education programs of the Tecnológico de Monterrey are based on an alt = "current, innovative and avant-garde educational model that uses case methodology, project development and / or experiential activities that allow increasing productivity due to the application immediate knowledge acquired and the opportunity to generate networking. The focus is on the student, who is responsible for generating their own knowledge , accompanied at all times by their teacher, who assumes the role of guide. Programs supported by professors with a doctoral degree and high potential executives with an excellent work profile. High priority to the use of technology as a facilitator in the teaching-learning process and, in the case of masters and doctorates, emphasize international preparation through agreements and exchanges with renowned universities around the world. Online programs that ensure access to communication, collaboration and learning networks among students, teachers and specialists from all over the world; as well as associations of graduates with the aim of strengthening the student's learning process. With the above, the Tecnológico de Monterrey contributes to train professionals capable of taking on the challenges generated by globalization and the constant change of science and technology, while opening new opportunities for executives, entrepreneurs and entrepreneurs.